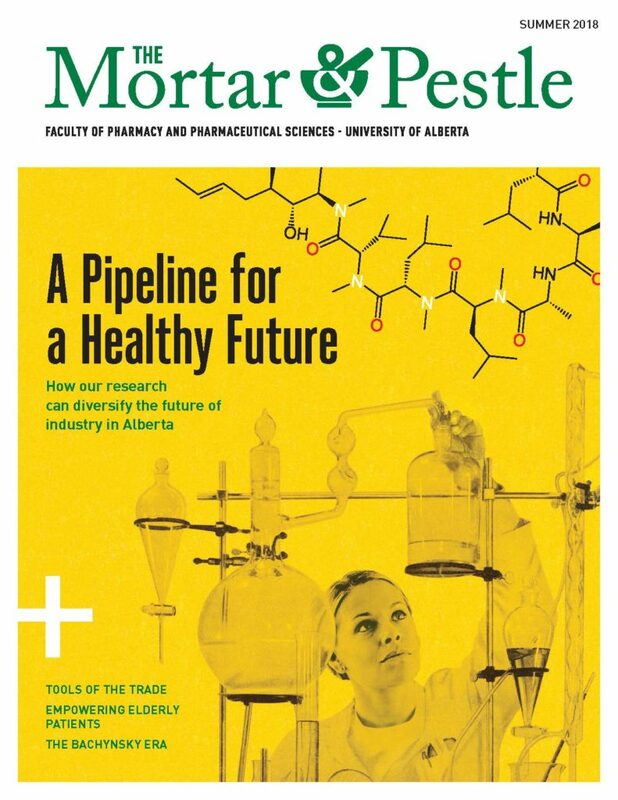 The Mortar & Pestle is the alumni magazine for the Faculty of Pharmacy and Pharmaceutical Sciences at the University of Alberta. The Mortar & Pestle works to share stories that showcase the value of pharmacy in health care and the innovation of the pharmaceutical sciences. It aims to connect faculty members, students, alumni, research and industry through service articles that highlight innovation in the profession. Thoughtful profiles and features work to make sense of an evolving profession and highlight Alberta’s leadership in that evolution.